to prove that we offer you……. 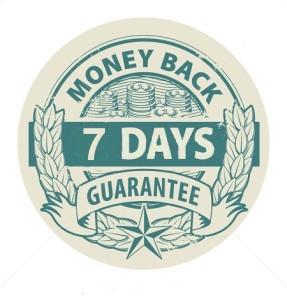 if for any reason you’re not 100% happy with your order, we’ll happily exchange it or give you a refund You are welcome to return your order, to be received by us, within 7 working days in original condition with all tags attached, un worn unwashed. We will refund directly into your account or exchange the item for a different size or style. Postage/delivery cost for exchanges are at your own expense. Refunds are processed in 2 – 3 working days upon receipt by us. Refund is subject to all fields completed in order form. Sorry but we are unable to refund original postage and packaging or returns postage. Goods are returned at your own expense. Please obtain a “Proof Of Posting” by returning your parcel with either a registration or tracking number as we can not be held responsible for parcels lost or damaged on return to us. It is your responsibility to let us know when to expect the return, items are your responsibility until received back by us. In order to serve you better we would like to know the reasons for your return/exchange. We try to ensure that the website is always updated with stock availability. In the event that a style or colour is out of stock, we will let you know when new stock is expected or advise you of an alternative style or colour.